Archive by Category "News and Events"
Dr. Robert Dean visits The Philippines with The Starkey Hearing Foundation on a mission to help survivors of Typhoon Haiyan, and provide hearing aids to children in need. It has been nearly a month since the devastating Typhoon Haiyan hit the islands in the Philippines, but the long-term recovery has just begun. Dr. Robert Dean of Tampa, Florida has partnered with the Starkey Hearing Foundation to join in the relief efforts. He left on November 28th to join the foundation on a previously planned mission to fit over 5,000 deaf children with hearing aids, but the trip now has an even broader relief objective. The partnership between Dr. Dean and the Starkey Hearing Foundation formed through Dr. Dean’s passion for making people healthier across the globe. His over 20-year medical experience has led him to study cholera, treat post-travel illnesses, and conduct research on women with HIV in Mexico. Dr. Dean also runs a foundation focused on conserving the world’s natural eco-systems and improving the quality of life in rain forest regions by increasing sustainability through improved social and economic infrastructure. More about the Starkey Hearing Foundation: The Foundation donates and fits more than 100,000 hearing aids annually. 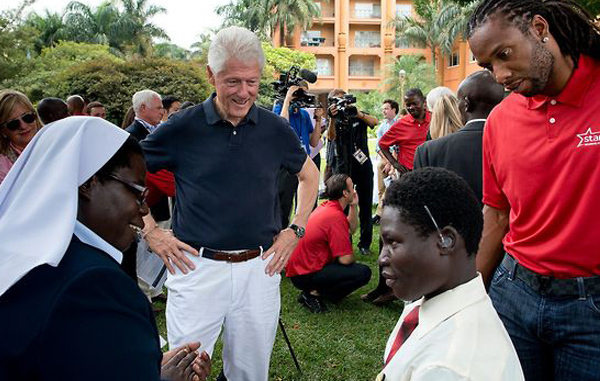 As a member of President Clinton’s Global Initiative, Starkey has pledged to fit one million hearing aids this decade. In addition to giving the gift of hearing through worldwide hearing missions, the Starkey Hearing Foundation also promotes hearing health awareness and education through the Listen Carefully initiative and provides hearing instruments to low-income Americans through the Hear Now program. When I agreed to go on a volunteer trip for the Starkey Hearing Foundation several weeks ago, I had no idea how dramatically circumstances there were about to change. 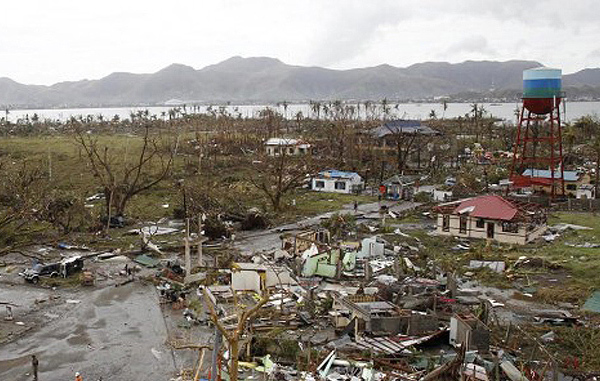 I had already booked my trip when Typhoon Haiyan struck and devastated the islands. As we watch the rising death toll in the Philippines, it is clear that our mission’s intention to fit over 5,000 hearing aids for deaf children will no longer be our only objective. The hardest hit central islands are completely devastated and those who were lucky enough to survive are in dire need of basic aid such as food, water, and shelter – resources that are scarce if available at all. Check back here often, as I’ll be posting updates, photos and videos from my travels from November 29th through December 12th. 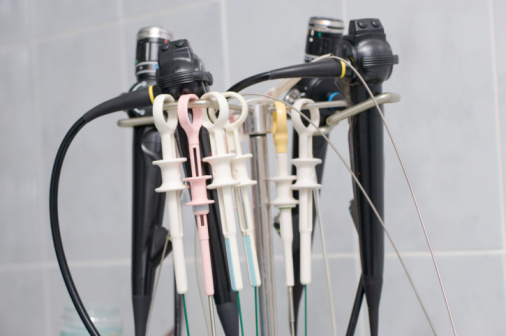 Learn how you can support Dr. Dean’s mission on behalf of the Starkey Foundation. 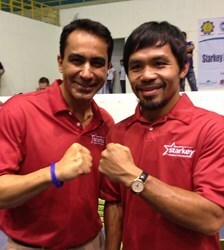 Dr. Dean is visiting the Philippines after Thanksgiving for a two-week mission with the Starkey Hearing Foundation. The Foundation fits and gives more than 100,000 hearing aids annually, and as a member of President Clinton’s Global Initiative, it has pledged to fit one million hearing aids this decade. In addition to giving the gift of hearing through worldwide hearing missions, Starkey Hearing Foundation promotes hearing health awareness and education through the Listen Carefully initiative and provides hearing instruments to low-income Americans through the Hear Now program. The trip of course comes at a time of critical need for the Philippines as the island nation seeks to recover from the devastating Typhoon Haiyan.